A spritz of perfume can go a long way toward elevating your vibe, but searching for a signature scent can feel like a headache waiting to happen. Spray, sniff, repeat…until you can’t tell floral from musk (and that’s not even considering how hard it is to find ones sans weird chemicals). We feel your pain, which is why we teamed up with CLEAN Reserve to create the definitive guide to finding the fragrance type to matches your mojo—whether you’re the life of the party who requires a zesty citrus, or more of a Netflix gal who prefers more mellow, earthy aromas. The best part about CLEAN fragrances is they’re 100 percent eco-conscious, right down to the packaging (even the cellophane around the box is compostable). Plus, the scents themselves are made from sustainable, raw ingredients that keep your scent lasting all day without being overpowering—so you can exude that confident aura while living your eco-friendliest life. And because so much care has gone into crafting each fragrance, the makers of CLEAN want to make sure you find the one that highlights your individuality. So stop sniff testing. We did the hard part for you. Scroll down to match your personality type with your ideal fragrance. The ultimate extrovert, you feel energized when you’re surrounded by people (and are often in the center of the crowd). You charm every person in your barre class and are on a first-name basis with your barista—and on Saturday, you can be found hosting a three-course brunch at your apartment after a neighborhood group jog. Your fragrance should double up the warm and optimistic vibes. Choose from scents like Citron Fig (tangy lemon and warm ginger mixed with sandalwood) and Sel Santal (crisp mandarin leaves and hazelnut cream) for bright top notes with an elegant finish. You’re always put together, from your lint-free blazer to your meticulously color-coded planner. Some might call you a workaholic, but drive and ambition mean your career goals are on lock. Plus, you’re the friend to rely on for booking reservations for your weekly girls’ night. Opt for a fragrance that keeps up with your boldness while softening your regimented style. Go with edgy floral Blonde Rose (rose, peony, and sandalwood) or Warm Cotton [reserve blend] (vetiver, peppery florals, musk) for options that support your strength and keep you grounded. You see romance in life’s tiny details. That includes buying yourself flowers (it counts as self care! ), journaling your monthly intentions, and admiring the bounty at your local farmer’s market each week. All of your mindful tendencies mean you’ve got confidence and compassion in spades (which is why you’re always the first one your friends go to for advice). Try soft, feminine fragrances like Amber Saffron (red raspberry and warm amber) or Skin [reserve blend] (fresh musk and salted praline) for a signature scent that’s as warm and wistful as you are. Cross-country road trip? Solo expedition to Bali? New restaurant opening? You’re there. You don’t take life (or yourself) too seriously, but are passionate about the causes close to your heart. A bona fide trend-spotter, you always know about the newest eateries and juice bars—and are happy to hang with your crew or fly solo. 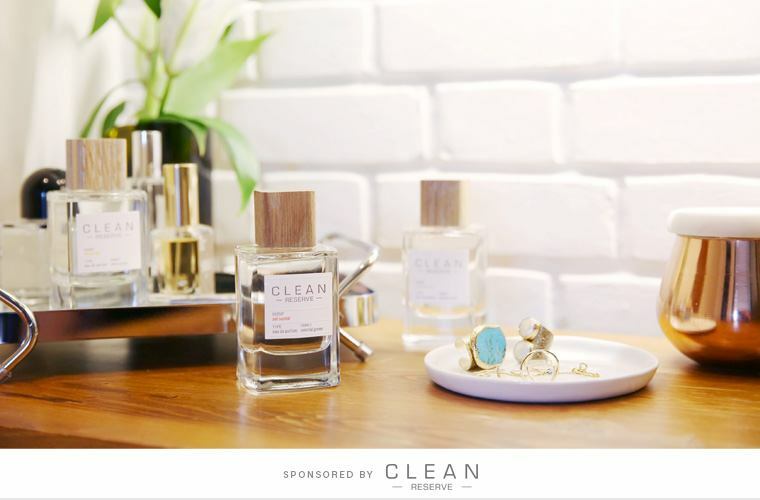 The fragrances from CLEAN’s fresh family are light and airy, but laced with unexpected elements (kind of like you). Try Sueded Oud (birch wood, honeysuckle, and soft suede) or Rain [reserve blend] (soft florals and musky-sweet patchouli) for a vibrant scent that will keep you feeling connected to nature, even if you do happen to be at a desk right now.